Merkel is set to step down in a few years. “One of the most prominent critics of the UN migration pact within the CDU has been Federal Minister of Health Jens Spahn, a conservative leader within the party who has put himself forward as a successor” to Merkel. Spahn, unlike Merkel, has prioritized the sovereignty of Germany and seeks to put limitations on migration. 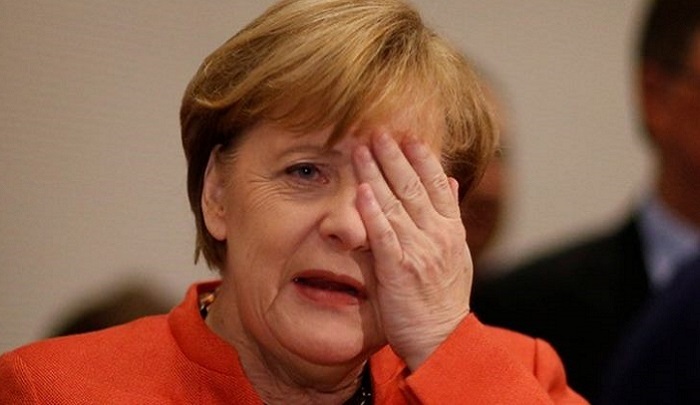 But in the meantime, Germany still faces the problems of the massive numbers of Muslim migrants that Merkel has admitted, as well as the hundreds of thousands of migrants of which it has lost track. The Saxony CDU recently opened up the possibility of a coalition with the AfD following the region’s local election next year which was quickly slammed by Chancellor Merkel and CDU General Secretary Annegret Kramp-Karrenbauer who said, “There will be no cooperation or coalition with the AfD. This is the decision in the Presidium and Federal Executive of the CDU.”…. Promote mass migration to their countries and promote growth there! We do not need or want these people. The focus needs to be on making them prosperous on their soil. CLOSE THE BORDER...BOOT THEM OUT...GO BUILD UP YOUR OWN COUNTRY!